SenzaGen’s chairman, Professor Carl Borrebaeck, has received the prestigious BiotechBuilders Award for his ground-breaking medical research and prominent role as entrepreneur in Life Science, including being the co-founder of SenzaGen, Immunovia, Alligator Bioscience and BioInvent. The award was announced at the annual BiotechBuilder’s meeting in Stockholm on 28 August. Through his involvement in SenzaGen, Carl Borrebaeck has contributed to the development of GARD™ – a gene-based test that evaluates the allergenic properties of chemical substances, thus eliminating the need for animal testing. Carl Borrebaeck was given the award on the grounds of being a successful entrepreneur who contributed to the start of several new life science companies, including, Alligator Bioscience, Immunovia, BioInvent and SenzaGen, of which the first three have been introduced on the Swedish stock market. 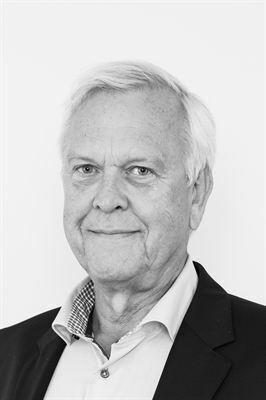 His efforts to build scientific networks, including Medicon Village, NOME (Nordic Mentor Network for Entrepreneurship) and Cancer Crosslink Conference, also contribute to his election as an outstanding “biotech builder” and good representative of Swedish life science industry. Carl Borrebaeck’s latest start-up company SenzaGen, has its base at Medicon Village in Lund. The company develops and sells allergy tests, mainly to the cosmetics and chemical industry. SenzaGen’s test, the GARD™ (Genomic Allergen Rapid Detection) is an alternative method for allergy testing that eliminates the need for animal testing. The method has been developed for over 10 years by a research group at Lund University, led by Carl Borrebaeck, Professor and at the time Head of Institution, and Malin Lindstedt, Professor and Senior Lecturer, both at the Institution of Immunotechnology. GARD utilizes the human genome to classify chemicals, and evaluate their ability to induce allergic reactions in human cells. Today, SenzaGen owns the patents and drives the development as well as the global marketing and sales of GARD. SenzaGen is planning a listing on Nasdaq First North in September 2017.